It is clichéd and somewhat trite to note that our country faces a deep political crisis. The removal of the finance ministers (Gordhan and Jonas) as well as several other Ministers and Deputy Ministers is likely to trigger even deeper divisions inside the ANC as well as the state. Should Zuma survive the political turmoil he has unleashed and gain full control of the Treasury on behalf of a predatory elite our already compromised democracy will swiftly evolve into a plutocracy. The stakes are high. At the heart of this crisis, is the crisis of ANC rule. And the crisis of ANC rule has everything to do with the transformation of the ANC from a liberation movement into an instrument for promoting black capital, a small elite with very little roots in the productive sectors of the economy. The predatory nature of this elite lies in their birth in financial deals arising out of the state’s programme of black economic empowerment. In most instances this elite hold junior positions in the economy, are vulnerable to the fickle winds of the financial markets and have become more strident in their efforts to find ways to reproduce their wealth. Misguided by SACPs theories of creating a ‘national bourgeoisie’ and a stage of ‘non-racial capitalism’, the BEE policy was always a “black business building” project. It was never a working class project. It created an accelerating social movement inside ANC. This policy has destroyed the ANC and continues to tear the party apart. The theoreticians of ‘non-racial capitalism’ forgot that “primitive accumulation of capital” (Marx) always is very primitive. It always starts with theft on a grand scale. With a shrinking economy and plummeting share values within mining, the ‘new’ bourgeoisie some of them humiliated by BEE indebtedness in their partnerships, became more desperate to get their hands on state institutions as a means of acquiring greater economic opportunity. With Zuma’s Presidency, there arose not just an alarming increase in cronyism and corruption, but also the flouting of any respect for the rule of law and for the Constitution. As long as the gravy could continue to flow to lower echelons of the Party this did not overly concern the ANC leadership. What had to be managed was the dispensing of patronage to keep different factions satisfied. Growing active intervention of the Guptas into the black business class project, destabilised the processes of patronage and consolidated a powerful faction around Zuma at the expense of other groupings. Importantly, business interests less dependent on the state for patronage, such as ANC Deputy President Cyril Ramaphosa, Sipho Pityana and Patrice Motsepe, with closer ties to big capital, became increasingly estranged from the crass and crude looting undertaken by the Zuptas. Their aversion to the predatory elite has to do with their integration with big monopoly capital who prefer accumulating in traditional ways, working within the rule of law that historically and fundamentally favours their interests. The firing of a Finance Minister such as Nhlanhla Nene, well respected by the ‘markets’ (investors), had destabilised the economy and more particularly the markets. One can imagine how those in government less linked to the predatory elite felt alienated by the actions of Zuma and the cabal around him, especially as they had to deal with approaches from big business, warning of the financial turbulence if Nene’s firing was not reversed. As the ANC’s elective conference draws nearer and with Zuma facing the tricky task of managing his succession, deeper schisms in the ANC has occurred. This has been made more acute by the role of the Guptas, who clearly exercise extreme influence over the President. They have displaced in importance other Zuma benefactors, such as the Shaiks and Vivian Reddy, to such an extent that Zuma is willing to take big political risks to protect and rescue them. In part the timing of the reshuffle has to do with the specific needs of the Guptas: Gordhan stood in the way of them being able to access crucial bank finance and Jonas exposed their state capture shenanigans of buying ministers that would do their bidding. This Cabinet reshuffle, while going beyond the removal of Gordhan and Jonas, is a very crude act to get control of the Treasury. With the Zupta control of the Treasury comes the control over almost all state institutions, not least key state enterprises such as ESKOM, Transnet, SAA, etc. The road to the very lucrative nuclear build programme lies open. Crude black nationalism and radical economic populism will be used to confuse and deflect attention from the real attention to loot the state and the economy. Already Zuma has justified his cabinet reshuffle in terms of promoting “radical economic transformation,” land reform and opposing “white monopoly capital “. 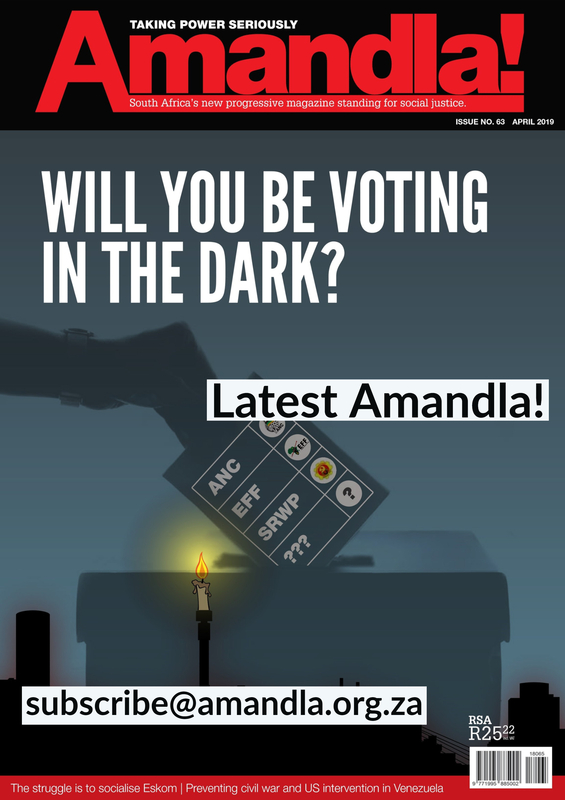 Expect in the next months, especially aimed at the ANC Policy Conference (June) and elective conference (December), a rise in populist rhetoric in an attempt to silence and marginalise the Zuma’s critics in his party and the wider society. What we are witnessing is the rapid evolution of the Zuma regime into a South African version of Mugabe’s Zimbabwe and the Zanufication of the ANC. Zuma has gone for broke and the ramifications of this cabinet reshuffle will only be fully realised at the ANC Conference at the end of the year. 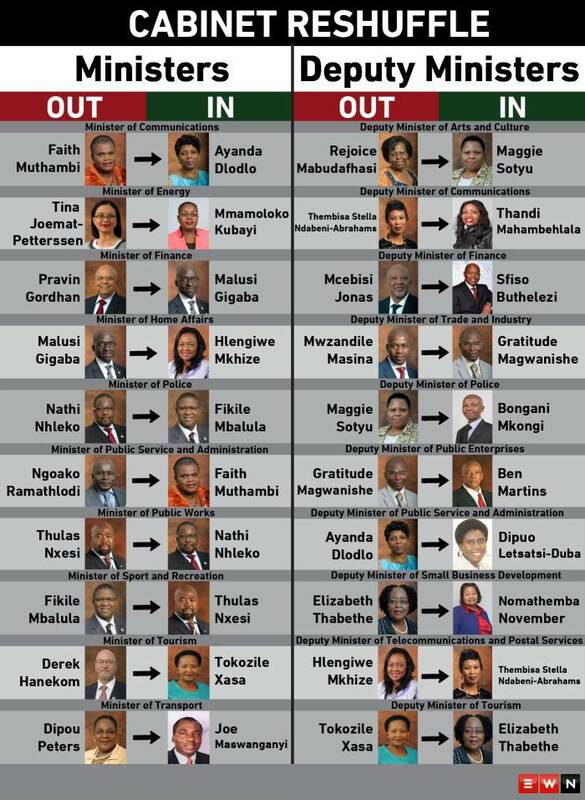 Amongst other things, this reshuffle is intended to strengthen his faction as they battle with the Ramaphosas, Mantashes, Nzimandes for control of the ANC. Before then he will have to survive revolts within the ANC, no confidence votes in Parliament, several court cases including attempts to impeach him and possible demonstrations on the streets. But if nothing else Zuma is a shrewd politician whose tactics should not be underestimated. He has cleverly left the ball in the court of the SACP. He resisted firing his SACP ministers, who threatened to resign if the finance ministers were removed. He has also cleverly resisted bringing Brian Molefe and Nkosazana Zuma into the cabinet, keeping them in reserve for the fights ahead. By the time the ANC Conference is done and dusted the stage might have been set for a substantial realignment of political forces. There is the possibility of new splits in the ANC – perhaps the birth of a “New ANC” to be launched with Ramaphosa and Gordhan at the helm, supported by the ‘veterans’ and the SACP. The left, progressive and working class forces face major tactical and strategic choices within this complex and difficult situation. In the first instance we must try and seize the initiative by spearheading resistance to Zuma’s grab for complete and unfettered control of the Treasury and the state’s resources. Already the new trade union federation, the South African Federation of Trade Unions (SAFTU), currently led by Zwelinzima Vavi, is threatening to occupy the Treasury. Serious mass action including marches, pickets and occupations will have to be organised. What has to be recognised is the weak state of the social movements and progressive forces. The trade union movement is a shadow of itself, divided and fragmented. There are hardly any social movements able to draw the thousands of community protests and struggles into a coherent movement that can have a national impact. The Fees Must fall student movement is at an ebb for the moment. Large part of the working class has been misled by COSATU and SACP into supporting the “man of the people”, Jacob Zuma, who since coming to power has had not one progressive drop of blood in his veins. Enchanted by Pravin Gordhan’s display of personal integrity, the liberals and the constitutional centre-left has only had praise for Pravin Gordhan’s neoliberal policies, favouring “stability” before all, united in a call for “No Change!”. But for the workers and the poor, “stability” is the stability of oppression and exploitation. The masses wanted Change! Zuma has given us Change as a farce, which will end in tragedy, if not blocked. In this context the left needs to be tactically flexible and prepared to undertake tactical alliances with strange bedfellows. In the first instance SAFTU should make a call for common mass action with those with whom they are currently engaged in an acrimonious struggle for control of the labour movement, namely COSATU and its affiliates. Given the SACP’s influence over COSATU, engagement with the SACP will need to take place. The EFF is potentially an important force in mobilising mass resistance to Zuma’s latest state capture project. Even unity in action must be sought with liberal and neoliberal forces opposed to state capture. Unity in action around a single demand does not prejudice working class independence. In fact it is a way of engaging in the struggle for working class leadership. A very broad united front will be necessary if there will be any chance of mobilising mass action. Should this materialise, the basis for a general strike and working class leadership in the struggle against state capture may be created. 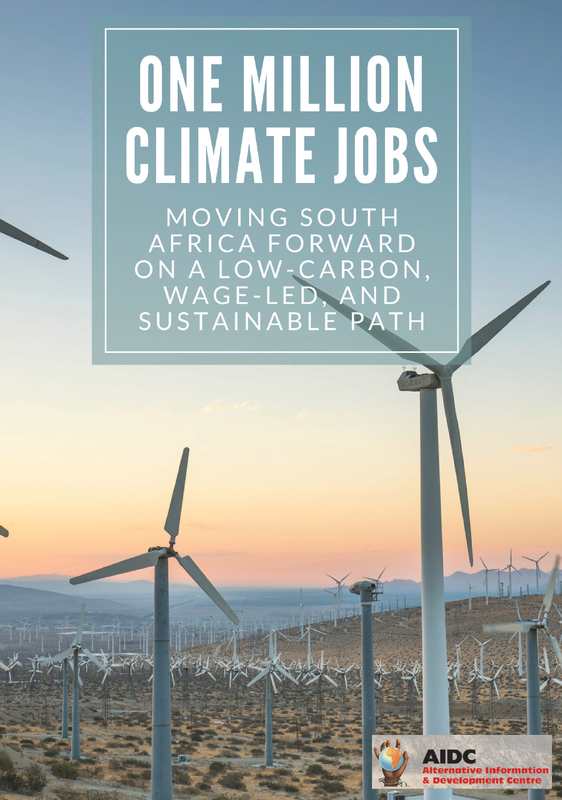 ‹ Renewable energy – benefits for all? 2. Do they realize that it might be more costly and difficult to repair a corrupted organisation from inside than to start a new party which can start afresh and will draw support from a broad voter base which is currently disillusioned with all the current political parties and desperately looking for a better alternative. The ANC is probably in a state of terminal decline – similar to many political parties in the west. Refer to articles below of Political parties in decline in the US and UK – different environment to South Africa but yet they all have a lot in common. I would like to be part of a group or a forum where the “new party” option can discussed further and if considered feasible to assist in its establishment.